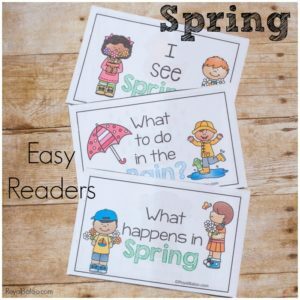 These spring easy readers make learning to read so much fun! 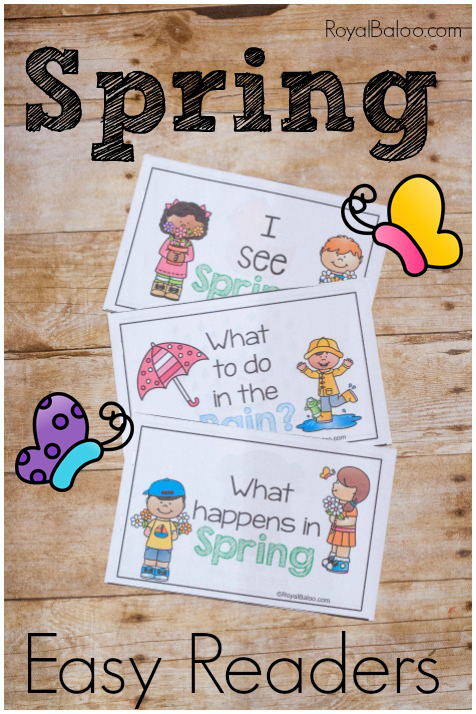 Enjoy the delightful themes with the fun reading practice! 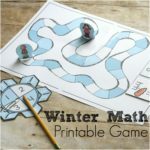 And they’re free!Easy readers are my kids favorite printable that I make (and that’s saying something, because all in all they are not fans of printables. Ironic, right?). They love these little books though so I’m always wanting to make more and more. I knew I had to make some for spring and I’m so glad I did. These books are bring and colorful and just a lot of fun. This is the last day of spring week! There is one more printable coming but it will be a newsletter exclusive. 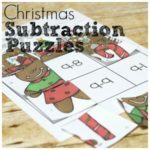 Make sure to sign up and receive great freebies along with all kinds of random awesomeness that my brain comes up with. 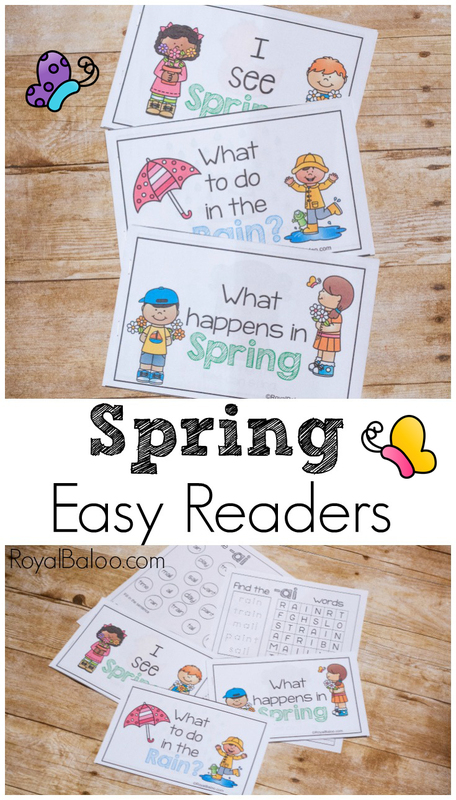 I wanted to make a few different Spring Easy Reader books…mainly because I had a few ideas and I didn’t want to skip any of them! So, I present three completely different easy reader books! 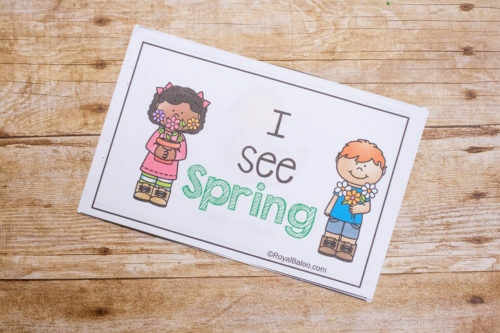 The first is a very simple “I see…” type book for preschool. 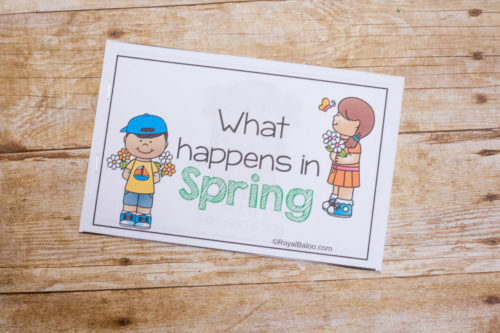 It introduces some spring vocabulary using a very predictable format. 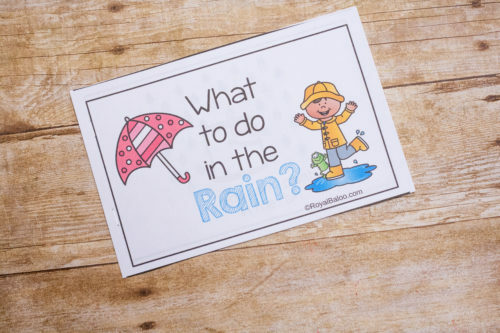 Second is an -ai book which features words with ai in them (like rain). It’s meant for slightly older kids. The last is an -ing book which features words that end in -ing. This is more of a kindergarten level book. 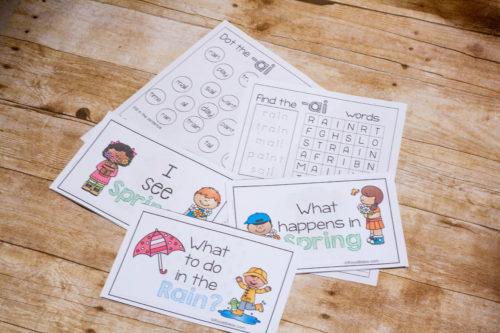 Along with each book there are two matching worksheets meant to reinforce the words. The pages are simple and meant to be fun. There is a page like this for each book. 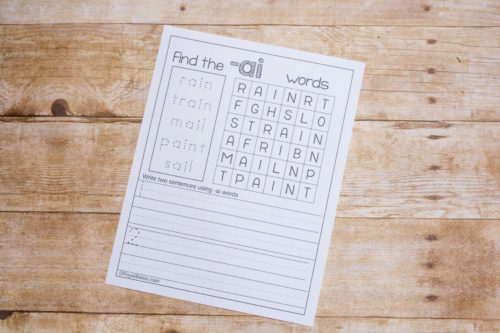 My kids enjoy word searches so I had to make sure each book had its own word search!